The annual awards ceremony takes place tonight in London. The BRIT Awards has confirmed that there will be a tribute to George Michael at this year's ceremony. The annual awards, which take place this evening and will be streamed live around the world. made the announcement via Twitter. Details of the tribute have yet to be confirmed. The FADER has reached out to organizers for more information. 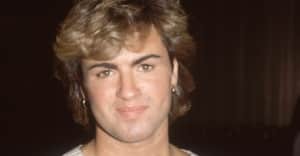 George Michael passed away in December 2016, age 53. Adele sang a new version of his song "Fastlove" at The Grammys earlier this month, starting the song over after making a false start to the performance.